Humidifying your cigars sounds challenging at first but is actually quite simple. The temperature should be normal room temperature. The humidity level should be 70% humidity +-5%. So just try to keep it between 65-75% humidity. There are various types of humidifiers you can use depending on the size of the space you are trying to humidify. For small cigar humidifiers that hold anywhere from 4-6 boxes, one simple humidifier should do the trick. But if you want to make it extra simple we suggest the Cigar Oasis II. For slightly larger humidors that hold up to 12 boxes of cigars, we suggest going with the Cigar Oasis Plus, which is a very simple electric humidifier that takes all of the guess work out. For medium to larger cigar humidors holding 13 to 100 boxes you will need an electric humidifier. 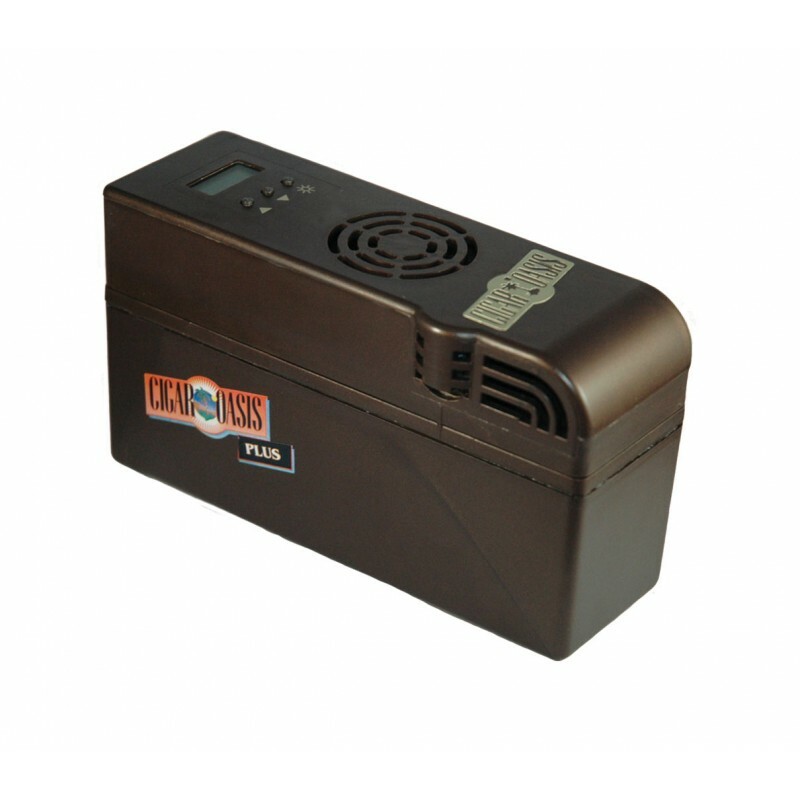 The specific humidifier we carry is the Cigar Oasis Magna. It is very convenient because it has a float valve that tells you when the water is running low. It also a digital remote gauge that tells the unit to turn off at any humidity you set it to. So for example, once it reaches 75% humidity it will shut off until the humidity falls below 70%. This is an extremely convenient feature that you don't want to do without unless you want to constantly check the humidity manually (which we do not recommend). For these larger displays you will need a whole-room humidifier. We do not sell these but you can easily purchase them from Amazon or any home accessories store like Bed, Bath & Beyond. A simple home based humidifier is all you will need. 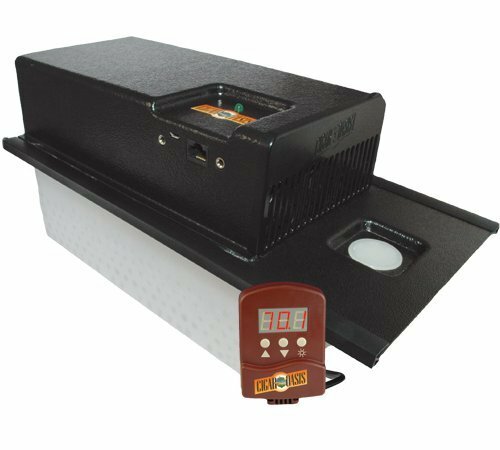 However, make sure to spend a little extra and find one that has it's own internal humidity gauge that will tell the unit to keep the ambient humidity at your specified humidity level (65-75% humidity). Also, be sure to avoid a warm mist, steam humidifier. These are the type of humidifiers you might give to a sick child with a cough. However they release a warm steam that is overpowering and will ruin your cigars. It simply gets too wet, too fast. Avoid these period. 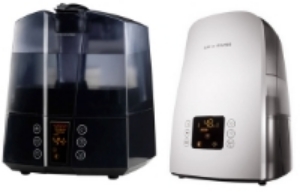 You will want either a cool-mist humidifier or an ultrasonic humidifier. Ultrasonic humidifier are generally more expensive but produce more humidity and usually have more features since they are pricier than their cool mist counterparts. But ultimately either will do. Our favorite brand of ultrasonic humidifier is Airoswiss. We hope this takes a little mystery out of the humidity equation. Just remember that you get what you pay. So don't leave your investment of cigars in incapable hands. Spend a little extra on quality brands and you will save yourself numerous headaches!